Windows Vista is the latest Microsoft version of operating system developed for personal computers, including home and business desktops, laptops, Tablet PCs and media center PCs. Before its announcement on the 22nd of July, 2005, Windows Vista was known by its code name "Longhorn". The process of development was completed on the 8th of November, 2006 and over the following three months it was released in stages to computer hardware and software manufacturers, business costumers and retail channels. On the 30th of January, 2007 it was released world wide and was made available for purchase and download from Microsoft's website. The release of the last Windows version came after more than five years since the release of its predecessor, the Windows XP version, which meant the longest time span between two successive releases of Microsoft Windows versions. This Microsoft Windows version contained many changes and new features, like an updated graphical user interface and visual style named Windows Aero, enhanced searching features, redesigned networking, audio, print and display adjacent systems, and new multimedia creation tools such as Windows DVD maker. The Microsoft creators also intended to increase, through Vista, the level of communication between machines on a home network, using peer-to-peer technology in order to simplify sharing files and digital media between computers and devices. The Windows Vista was equipped with version 3.0 of the .NET framework, whose scope was to significantly facilitate the writing of applications for software developers than it was with the traditional Windows API. But Microsoft had in mind another objective for Windows Vista when they developed it. The main purpose for it was to improve the state of security in the Windows OS. One common criticism for the previous Windows versions, namely Windows XP, was that of their commonly exploited security vulnerabilities and overall susceptibility to malware, viruses and buffer overflows. Driven by this situation, Microsoft chairman Bill Gates announced in early 2002 a company wide "Trustworthy Computing Initiative" which was aimed to incorporate security work into every aspect of software development carried on in the company. Microsoft declared that it had prioritized improving the security of Windows XP and Windows Server 2003 above finishing Windows Vista, in this way delaying its completion. 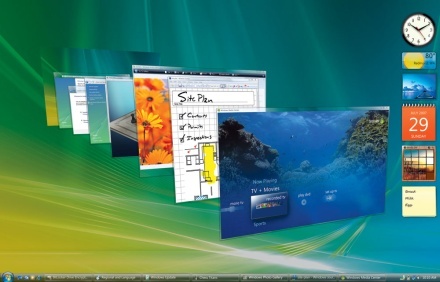 While the Microsoft initiative and the new features included in Windows Vista were welcomed by owners of personal computers worldwide, Vista was not spared of some harsh criticism from the press. These harsh critiques were pointed at high system requirements, the more restrictive licensing terms, the inclusion of a number of new digital rights management technologies aimed at restricting the copying of protected digital media, lack of compatibility with certain pre-Vista hardware and software, and the number of authorization prompts for User Account Control. As a consequence related to these and several other issues, Vista was faced with much lower rates of installment and customer satisfaction than its predecessor, Windows XP.